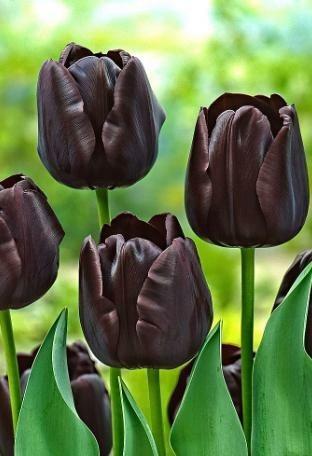 Near black goblet tulips. April to May. Sun and good drainage. 50cm tall. Best planted in drifts with silver foliage plants and other pink flowers. AGM award.